Lately Etisalat data has been the topic to discuss, where data of like 8G can be gotten for far cheap price. 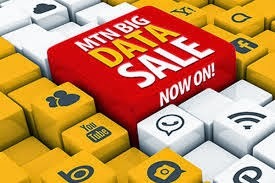 Just like a month ago, MTN data users also stated to enjoy the big bam awof MTN data, getting as more a 20g for lower price. 4. Then a message will be send to you phone showing the amount of data you have left. I believe you really enjoy this post, kindly endeavor to subscribe for our daily post. Enough tweak on mobile internet are out and we’ll love to share with our loyal readers and subscribers. Also kindly share this post with a friend and on social media.